When sled dog Gonzo began losing his vision years ago, Poncho helped guide him so he could continue giving the sled rides he so enjoyed. 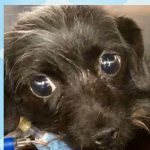 But he had to stop running when he went completely blind, and now they need a home so they can stay together. 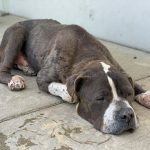 Gonzo’s degenerative condition was noticed by Muddy Paw Sled Dog Kennel staff members when he was about three years old. He had to have one eye removed, making it difficult to see the trail. Poncho nudged him along so he could stay in the hitch. 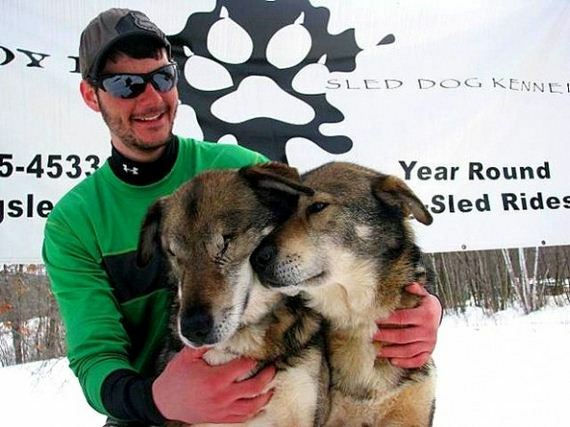 “At first it kind of upset him (Poncho) because it slightly hindered his ability to run straight because Gonzo was leaning up against him,” musher Wes Guerin told WMUR 9. Poncho would even help his brother out of ditches by grabbing his harness with his teeth and leading him back up. 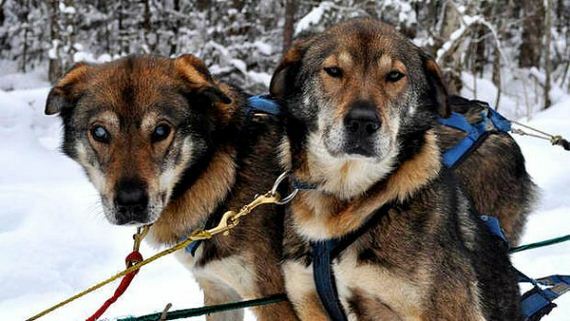 Gonzo and Poncho are part of New Hampshire Sled Dog Rescue, History and Education Center, which is a nonprofit group in Jefferson that takes in sled dogs and provides them with homes. 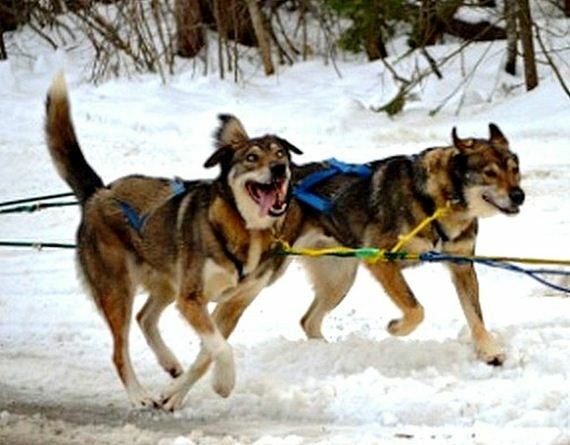 These are not Iditarod dogs, and they are not forced to work in extreme conditions to the point of exhaustion, but sled for exercise and fun. 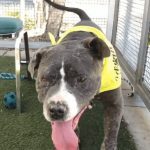 Dogs in the program “have a home and a job for life.” But when they retire from their sledding life and are ready to try their paws at a regular life, they become available for adoption. 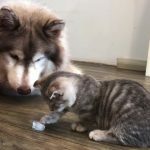 All of their huskies are outdoor working dogs, so adjusting to an indoor life with things like vacuums, wood/tile floors, and stairs can be as challenging for adult dogs as they are for puppies. Last fall, Gonzo’s other eye became painful and had to be removed. Because of this, he had to retire from sledding. Poncho is still out with the 100+ dogs giving rides, but Gonzo spends his days in the office learning how to adjust to total blindness and being an indoor dog. 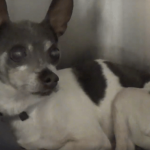 He hopes that the 10-year-old boys can be adopted to the same home so Poncho can keep an eye on his brother.